This article appeared last year in the New York Post during the heavy coverage of the 200th anniversary of the publication of Mary Shelly's original novel. 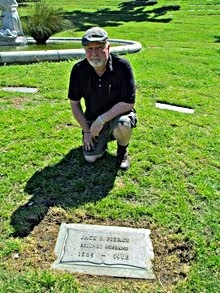 The article is nicely researched and cites some obscure references to Pierce. Let's hope that the "makeup whiz" continues to be remembered. When Universal’s horror classic “Frankenstein” opened at the Mayfair Theater on Dec. 4, 1931, curious New Yorkers swarmed the Times Square cinema to experience what promised to be the scariest movie ever filmed. They weren’t disappointed. One critic said that the premiere “aroused so much excitement” that many audience members “laughed to cover their true feelings” of horror and revulsion. One young woman reported that she was afraid to go into her attic for months after seeing the film; she was convinced that Frankenstein’s monster, played by a larger-than-life Boris Karloff, was hiding up there. 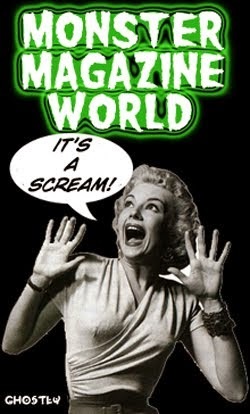 “She was 18 years old when the movie came out — she wasn’t a kid — so even adults were really shocked and thrown for a loop by this movie,” said Hollywood historian Gregory Mank, who has written multiple books on classic horror films. While the story — based on the 19th-century novel by Mary Shelley about a scientist who tries to create a human but ends up fabricating a monster — was spooky enough, Mank said it was the makeup that really made the picture. “It was so extraordinary and so incredibly realistic,” he told The Post of the monster’s ghoulish face and flat-topped head, a collaboration among Karloff, director James Whale and makeup whiz Jack Pierce. Since Shelley’s book contained little detail about the creature’s looks, Pierce could let his imagination run wild, and he spent months researching and experimenting with the monster’s appearance. The combination of face paint and crude DIY prosthetics that he came up with took at least four hours to apply and two hours to take off after a long day of filming. But it was worth it: “The makeup is what really made the film,” said Mank. Frankenstein turns 200 this year. And since the book’s initial publication in 1818, it has inspired hundreds of plays and more than 75 movies. Yet, despite countless reimaginings, it’s the 1931 version of the monster — with the lumbering gait, exaggerated forehead, squared-off head and electric bolts sticking out of his neck — that continues to haunt pop culture, inspiring Halloween costumes, toys and parodies to this day. “That image of the 1931 monster is so strong that ever since then, nobody can really have a crack at Frankenstein without taking some account of that image,” Christopher Frayling, author of “Frankenstein: The First Two Hundred Years” (Reel Art Press), told The Post. “Frankenstein” was already popular before Universal Studios decided to adapt it as part of a new stable of cheap horror flicks in the early 1930s. While Shelley’s novel initially was considered an amoral flop, by 1826, there were no fewer than 15 theatrical versions of “Frankenstein” competing on the stage throughout England and France. In 1910, Thomas Edison’s film company made a “Frankenstein” movie, one of the first narrative films, and certainly the first narrative genre film, ever produced. The idea of the creature as a grunting, horrific-looking monster actually stems from these early interpretations of Shelley’s story. Such a nuanced account wouldn’t work on the stage or screen, however. So from the very first play version, in 1823, the creature is “not just rather repulsive-looking but completely inarticulate, whereas in the book, once he gets the hang of talking, he can’t stop,” said Frayling. Universal wanted something special for its version of “Frankenstein.” The studio had been struggling, having lost $2.2 million in 1930, when it decided to pivot to horror flicks, which were fast and cheap to produce. “Pierce was just thrilled because here was a chance to really let his imagination and skill really go wild,” Mank said. In a 1967 interview with the fan mag For Monsters Only, Pierce said he spent some three months researching “anatomy, surgery, medicine, criminology, ancient and modern burial costumes and electrodynamics” before doing any sketches for the film. Since Frankenstein wasn’t an actual surgeon, Pierce decided that the fictional scientist would opt for the easiest way to insert a brain into a corpse’s head. He came up with the bolts at the neck because Frankenstein was supposed to use electricity to bring the monster to life. 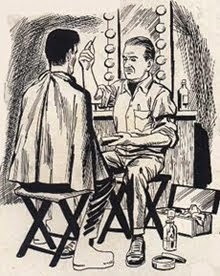 He also shortened Karloff’s jackets and made his extremities look long and swollen after reading that this would happen to the bodies of criminals bound and buried alive in ancient Egypt. “[Pierce] felt that would be, as he said, ‘a nice touch’ for the monster, since [in the film] he was supposed to be made from corpses of these executed people,” Mank said. 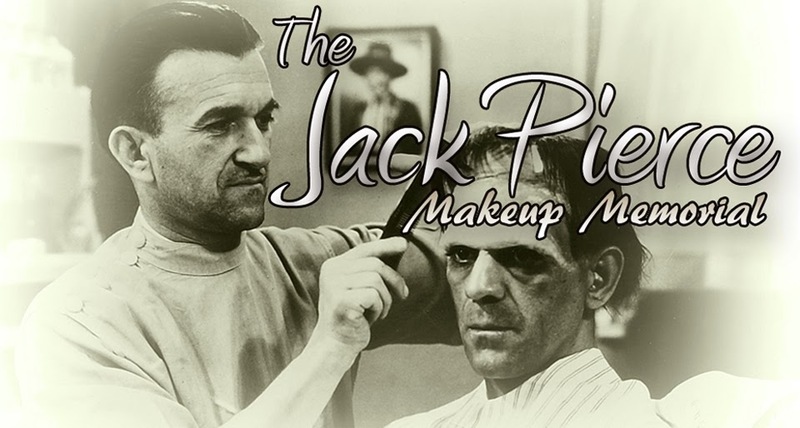 Karloff and Whale went back and forth with sketches and models before settling on the basic outline of the monster, but once Pierce and Karloff began experimenting in the makeup chair, the creature really started to come to life. It was Karloff’s idea to make his eyelids thick and heavy — he thought his face looked too lively. He also suggested the monster’s sunken-cheek look. By removing his dental bridge, Karloff made his face look asymmetrical and undeniably creepy. “I think part of the reason that Frankenstein’s monster works so well is because of Boris Karloff,” makeup artist Rick Baker — famous for his work on “An American Werewolf in London” and the recent “Planet of the Apes” movies — told The Post. 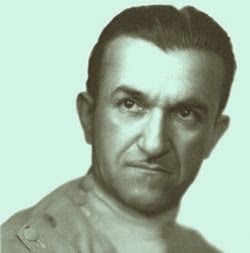 Pierce said it took four hours to build Karloff’s look from scratch every morning before filming, using a crude combination of cotton and spirit gum — the only adhesive available at the time — for his prosthetics and a mixture of makeup that produced a greenish tinge that would film as ghostly white. 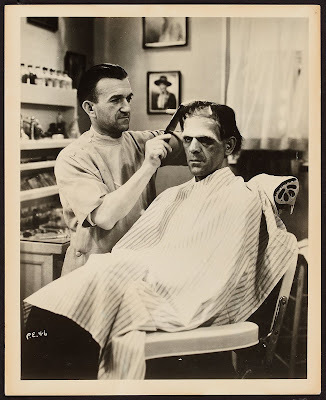 Karloff would then sit for an extra two hours at the end of the day as Pierce took everything off with acetone. “Frankenstein” ended up being a bigger hit than even “Dracula,” grossing $12 million, far exceeding its paltry $250,000 budget. Karloff reprised his role in 1935’s “Bride of Frankenstein” and 1939’s “Son of Frankenstein.” Even after Karloff retired from the role, Universal continued churning out Frankenstein flicks, with Pierce copying his original makeup for Lon Chaney Jr. and others. Other studios didn’t have that luxury: Universal had a copyright on Pierce’s makeup — specifically the flat-topped head, high forehead, green makeup and the bolts at the neck — and audiences just weren’t buying a Frankenstein’s monster that didn’t look like the iconic 1931 version. The filmmakers who tried, failed. In 1957’s bad B-movie “I Was a Teenage Frankenstein,” the comically deranged, Toxic Avenger-looking creature is made from the bodies of teens who have died in car crashes. Britain’s Hammer Films made a more serious bid that same year, launching a series of Frankenstein films starring Christopher Lee as the monster, which were a disaster. “[Lee’s monster] was just this really nasty-looking mess,” said Mank of the new creature’s scar-ridden face. “And then Hammer kept changing the appearance of the monster . 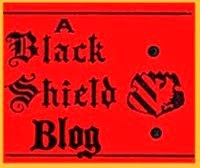 . . and they just never could get it to click.” That is, until they cut a deal with Universal about halfway through the series to allow them to adapt the 1931 icon for their own purposes. Even acclaimed director Kenneth Branagh and Oscar winner Robert De Niro failed with their 1994 attempt. And then there was 2015’s ghastly (and not in a good way) “Victor Frankenstein,” a forgettable slog starring James McAvoy and Daniel Radcliffe. Meanwhile, the 1931 Frankenstein endures. Universal drew on the monster’s popularity again with the 1960s TV spoof “The Munsters” — a satire on the all-American family with a cuddly patriarch who bears a strong resemblance to Karloff’s Frankenstein. And Mel Brooks’ 1974 comedy “Young Frankenstein” remains such a classic because it evoked the lumbering, high-foreheaded Universal property without explicitly infringing on any copyright laws — it’s currently on stage in London. And there are countless Frankenstein toys and masks produced every year. And though “Frankenstein” the story is timeless — with its anxieties relating to science and man playing God — Baker said that the reason why Frankenstein will forever remain horror’s most enduring monster is because of Pierce and Karloff’s collaboration.